Our beautiful girl Meeka has finally found her forever home. We have said that before but just like our Second Chance girl Luna, we just keep trying until we find that perfect home. 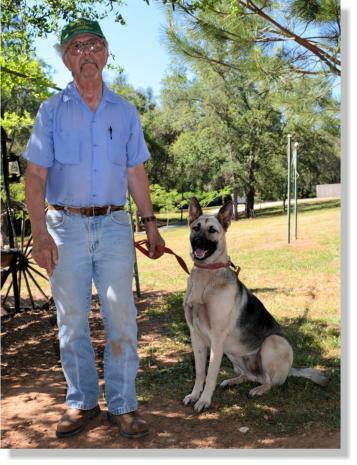 Meeka's new dad is a stay at home guy and when he does travel his dog always travels with him. This is just what Meeka needed. He has re-named her "Liesl". Liesl's new dad has two residences, one in Dorington and one in Wyoming. What a lucky girl!! Meeka came back to us today and is looking for her forever home. 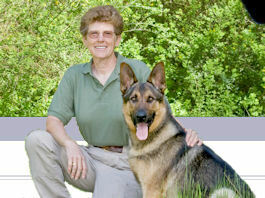 Her last owner did not train her to become a diabetic alert dog as planned and instead left her with his parents. They did not have the time to dedicate to Meeka and thought it would be better to find her a home where she would get the love and attention that she deserves. 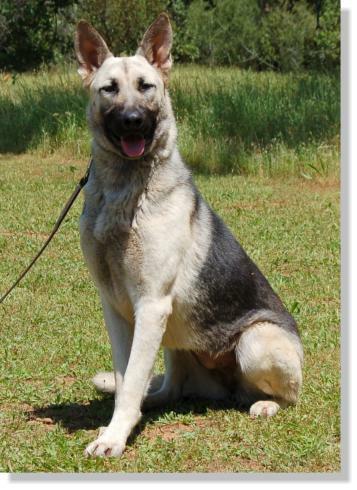 Meeka will be 2 years old in August and is a real sweetheart. 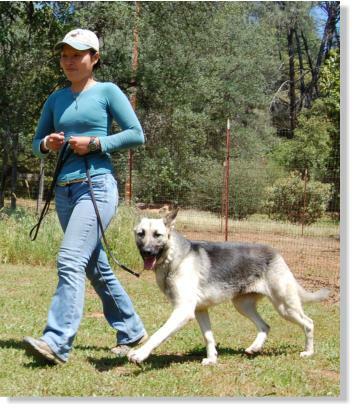 She remembers all of her obedience and is great with other dogs, males as well as females. 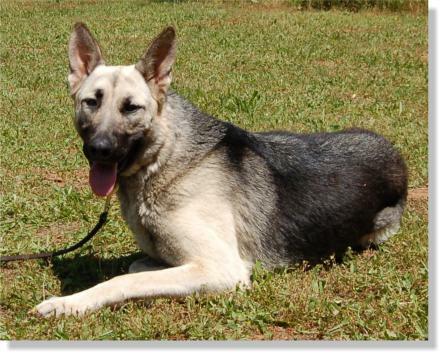 Meeka would do best in a home where she is not left alone for long periods of time. She is not destructive but she does wine a lot when she is left by herself. Please give us a call if you would like to come out to meet this beautiful girl. Our very pretty little girl Meeka is off to her new home in the valley. She has a very important future ahead of her. She is going to be trained up to be a diabetic alert dog for her new owner. She will also have a great new buddy named Bogey who also is a Second Chance dog who was adopted two years ago. Good luck Meeka and promise to take good care of Devon for us. 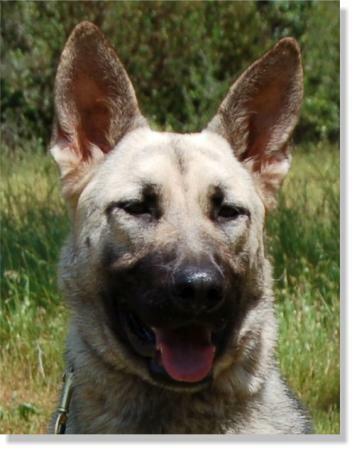 Meeka is a very pretty 9 month old German Shepherd that we rescued from the Stockton City Shelter. When she first arrived at the ranch she was a real wild child. Leaping, jumping, licking, and pulling on her leash are just a few of her nasty little habits! Fortunately she is a very smart and willing girl and we have already fixed most of these behaviors. It is unknown how she will be with cats. She hasn't been able to go on any pack walks because she was spayed the day after she arrived and she is supposed to be staying quiet. Good luck with that! In the first week that Meeka has been with us we noticed that she seems to be a very needy girl. We haven't seen her do any destructive behavior but we suspect she may be a dog that could develope separation anxiety if she is not managed properly. Because of this, she should go to a home where someone is home most of the time. 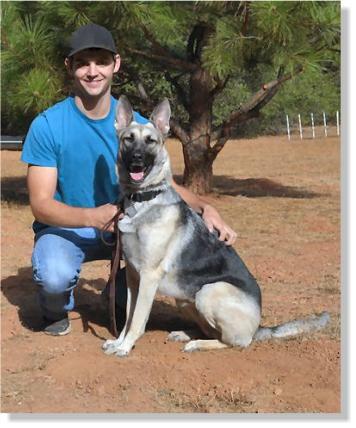 Meeka is a pure bred German Shepherd, her new owners could register her with the AKC and compete in obedience, agility or tracking if they wanted to do so.